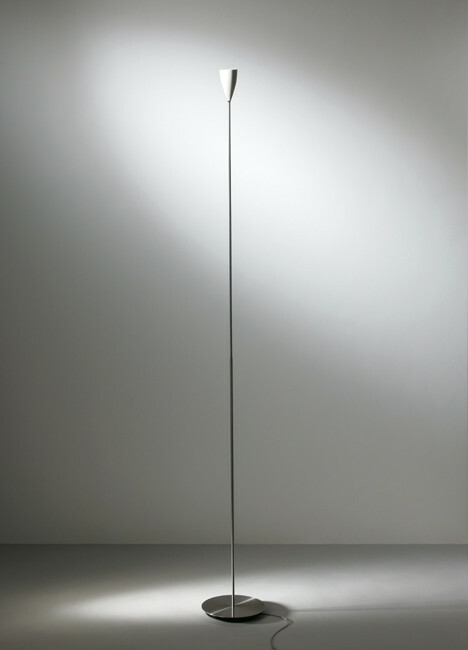 The K-meral CECIL Floor Lamp combines a lampshade out of porcelain and a lamp stand with a cover out of stainless steel or antiqued mahogany. The K-meral CECIL Floor Lamp combines a lampshade out of porcelain and a lamp stand with a cover out of stainless steel or antiqued mahogany. 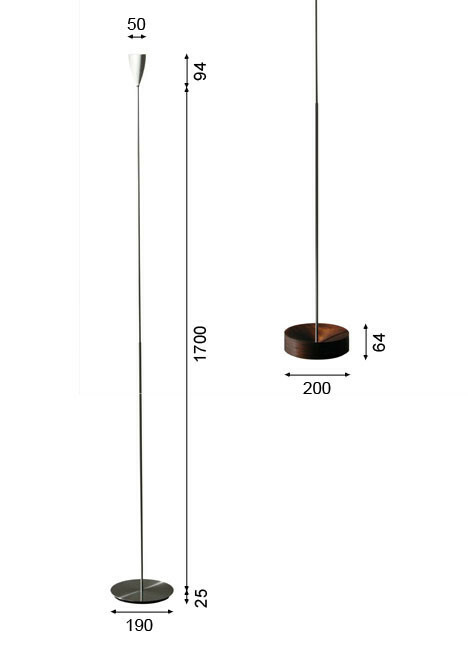 The lamp stand is 19 cm in diameter and 2.5 cm high with the stainless steel version while it is 20 cm in diameter and 6.4 cm high with the mahogany type. 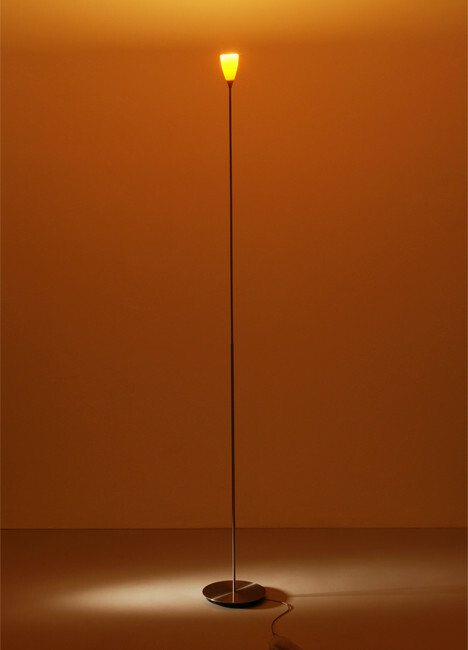 The K-meral CECIL Floor Lamp radiates a direct neutral light onto the ceiling and it scatters a warm diffuse light into its surrounding. 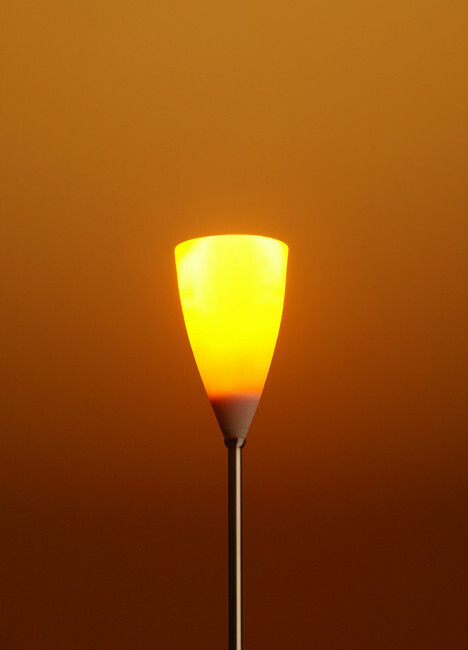 Please note that this luminaire is switchable and dimmable by touching the metal parts. 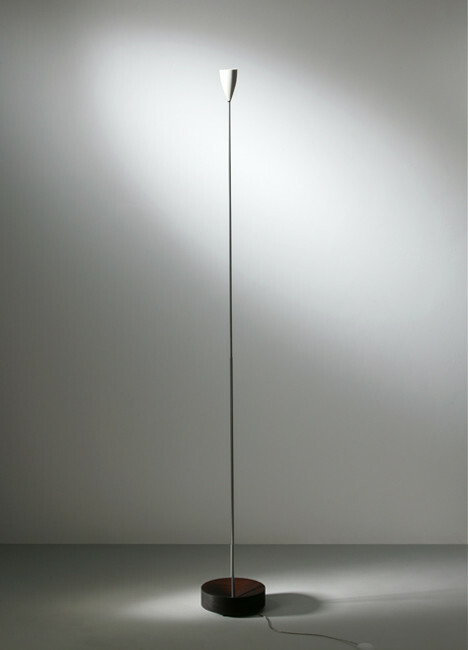 The transformer of the CECIL Floor Lamp is attached to the supply cable.